The Long Island, NY-­based band is revered within the hard rock and heavy metal scene for its pioneering work. Blue Öyster Cult occupies a unique place in rock history because it’s one of very few hard rock/heavy metal bands to earn both genuine mainstream critical acclaims as well as commercial success. Buck Dharma’s guitar playing is the signature sound of Blue Öyster Cult. One of the greatest guitarists of our time, Buck is the driving sonic force of Blue Öyster Cult, and continues to push his playing in new uncharted directions. A master from the beginning, he plays with an ease and grace that puts most players to shame. An extremely expressive player, Buck doesn’t let any note go to waste. Each has something to say, if you’re willing to listen. 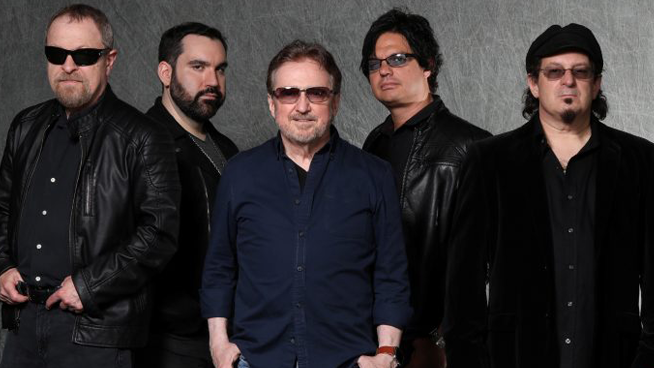 Lead Vocalist Eric Bloom’s distinctive vocals are the personality and power that drives Blue Öyster Cult’s harder-hitting songs. On stage, Eric is a busy man… not only is he lead vocalist, he also handles both rhythm guitar and keyboards as needed.